Do you have a lot on your plate at the moment? The holidays are a busy time and it’s nice to make meals that require very little time in the kitchen but still taste like you slaved over them. 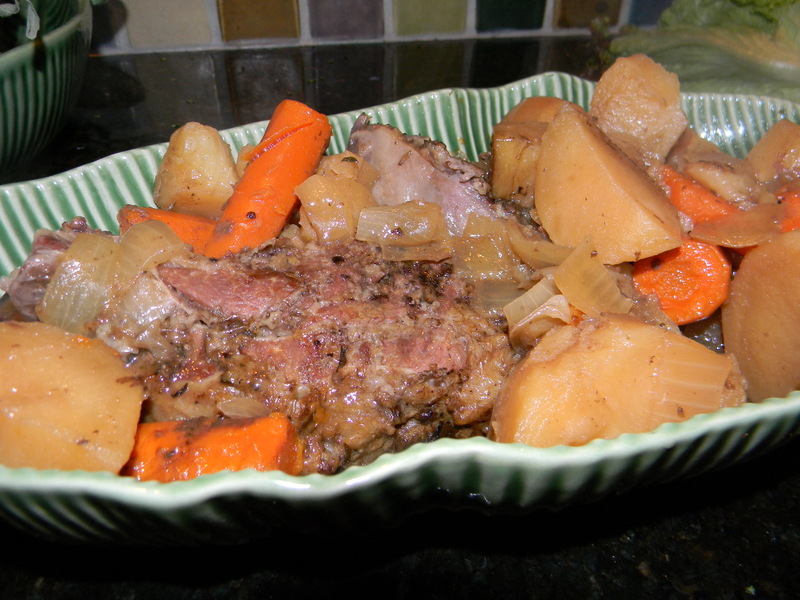 I don’t use the crockpot often but it is an easy way to have dinner ready when I get home and pot roast is one of my favorites in the crockpot. I made this on the weekend so I cooked on high, during the week I put everything together in the morning and cook on low so it’s ready when I get home from work. Either way this is a delicious meal that requires very little preparation time. 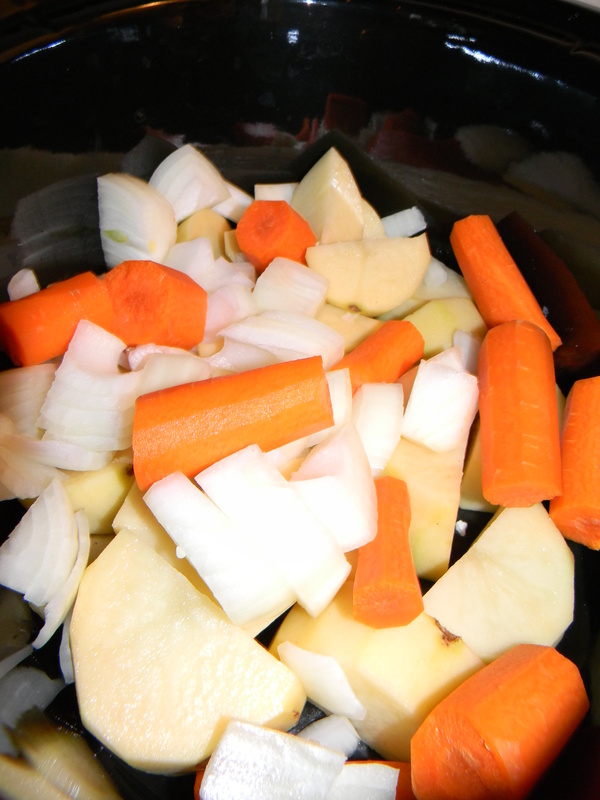 It is looking a lot like crockpot season too, so cold and dreary here, makes you wish for a warm yummy meal at the end of the day. Clean and chop vegetables the night before if your plan to get this started in the morning. Don’t worry about the potatoes becoming discolored overnight, once they’re cooking you won’t notice. 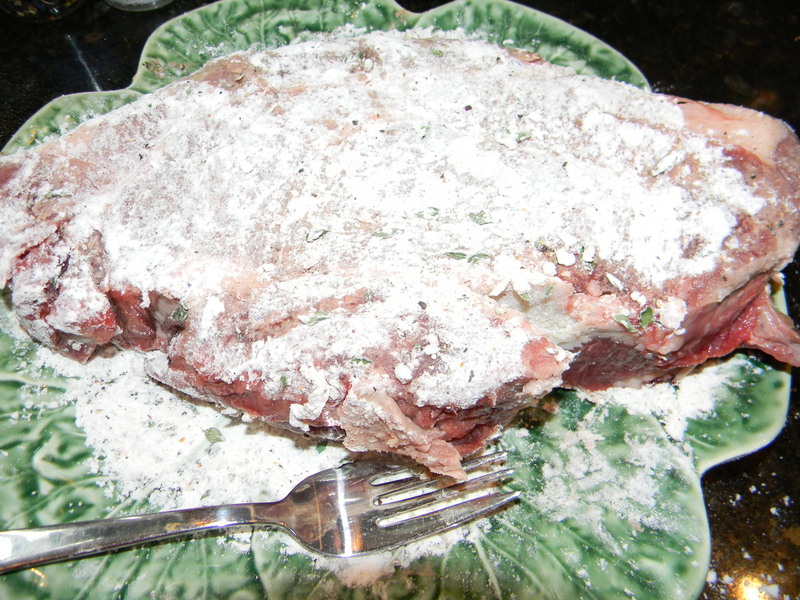 Coat each side of the roast with flour and salt and pepper. Add olive oil to large sauté pan over medium high heat and toss roast into the pan and cook for about 3 minutes then flip roast for another 3 minutes.